The HyperSoar is an experimental aircraft by Boeing. 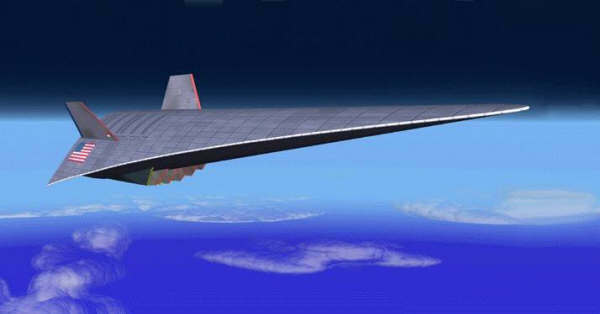 The Hypersoar will become an hypersonic aircraft capable to attack worldwide. The Hypersoar will be able to fly from the US, to destroy each target on the entire globe and fly back to the US without aerial refueling. It will have the most advanced technologies so it can not be shot down. It will fly with a speed of mach 10 to reach any point on the globe within 2 hours. 1 design is to fly the plane outside the atmosphere,then to start rocket engine and go back inside the atmosphere near the target.